Boulder Pass is a custom and semi-custom luxury home subdivision within the guard gated Windy Walk community. Located on the Northern slope of Troon Mountain, so Troon Mountain blocks the nighttime glow of the city lights. Your backyard becomes a theater revealing billions of stars in the night sky (plus planets and occasional satellite). Great sunsets over Pinnacle Peak. Easy access in and out through the back gate – only minutes from shopping, dining, and the 101 freeway. 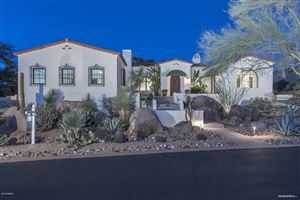 See all Boulder Pass at Troon Village.